Vitamin A is an essential part of your diet, but do you know why your body needs it? Get the 411 on this vitamin! 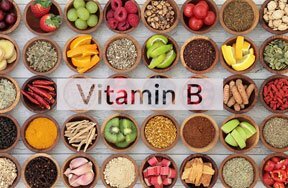 Vitamin A - Why Is It Good For You? Like most vitamins and minerals, vitamin A helps your bones grow and keeps your body healthy. But vitamin A also plays a special role in your eyesight. Vitamin A helps you see at night, which is great for when you're trick-or-treating on Halloween. 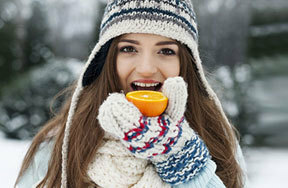 Vitamin A also keeps your skin and hair healthy and shiny. If your body doesn't get the vitamin A that it needs, then you'll suffer from vitamin A deficiency. It's pretty rare in North America, but really common in third world countries. In fact, up to 500,000 malnourished kids suffer from night blindness and then go completely blind each year cuz they lack vitamin A in their diets. 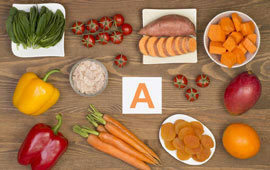 Vitamin A - What Foods Can It Be Found In? Give your body the vitamin A it needs by filling up on milk, eggs, carrots, spinach, sweet potatoes, liver and orange-colored fruits such as apricots, peaches, nectarines, cantaloupe and mangos. Vitamin A can be lost from foods when you cook them, so bake or broil your meats instead of frying them, and steam your veggies - or just eat 'em raw. 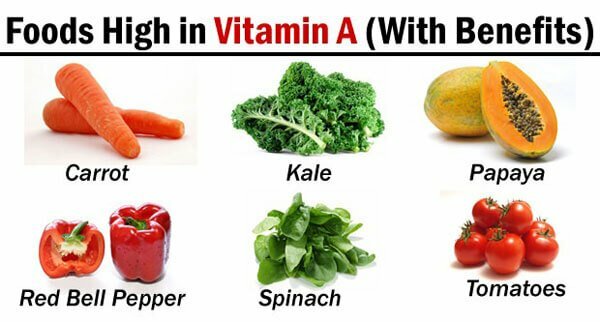 Vitamin A - Did U Know? Retinol is the most useful form of vitamin A. In cosmetics, it's used to treat skin problems like acne and wrinkles. Vitamin A is a fat-soluble vitamin. That means it gets stored in the fat tissues of your body and waits there until your body needs them. 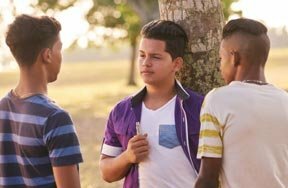 The recommended daily intake of vitamin A is 600 micrograms (mcg) for kids aged nine to 13, 700 mcg for teen girls and 900 mcg for teen guys. An excess of vitamin A is just as dangerous as a deficiency. Too much vitamin A can lead to dry skin, brittle bones - and even death. 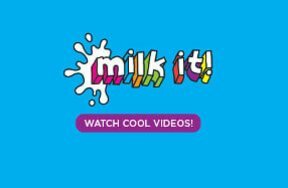 More Health & Body Tips! Favorite Source of Vitamin A?